The recently announced licencing deal between Eli Lilly and Sigilon to develop an allogeneic, off-the-shelf, cell therapy to treat type 1 diabetes has finally demonstrated acceptance by the mainstream pharmaceutical industry for cell encapsulation. The therapy is based on induced pluripotent stem cells that are engineered to become insulin-producing beta cells (Vegas et al., 2016a). Successful implantation and maintenance of encapsulated cells in the body can, in principle, be used to treat a whole plethora of diseases. In the case of the Lilly/Sigilon deal this is initially focused on the treatment of diabetes, which has classically been the holy grail of encapsulation since it was first attempted almost 40 years ago (Lim and Sun, 1980). Indeed, the major limitation to the field since then has always been the difficulty to find suitable biocompatible encapsulation materials that do not cause inflammation. Historically the first material used for encapsulation was alginate and now Sigilon is using their own alginate formulation that they claim mitigates inflammation when implanted in patients (Vegas et al., 2016b). The focus on diabetes is in part because the encapsulated cells (be they islet, differentiated stem cells or genetically modified cell lines) should ideally be able to regulate insulin production and release in a physiological manner, so that insulin is only produced when needed – ultimately in response to changes in blood sugar levels (Salmons et al., 2014). However, encapsulation is also ideally suited to the treatment of metabolic disorders and genetic diseases – particularly those in which the level of the therapeutic factor is not absolutely critical, and where even small amounts can have a therapeutic benefit, as in the case of Factor IIIV or IX deficiency (Dangerfield et al., 2013). Early trials for the treatment of brain cancer using cells producing anti-angiogenic factors employed alginate as the encapsulation material (Read et al., 2001; Joki et al., 2001), but more recently a new material, cellulose sulphate, has been described which offers significant advantages over alginate in the areas of tolerability, large scale manufacture and freezing for storage and transport (Salmons et al., 2007). Cellulose sulphate encapsulation has been successfully used in two clinical trials for pancreatic cancer (Lohr et al., 2014) as well as in a clinical trial in dogs with spontaneously occurring mammary tumors (Michałowska et al., 2014). The encapsulation company Austrianova is currently producing under GMP conditions genetically modified cells encapsulated in cellulose sulphate for its U.S. partner PharmaCyte Biotech Inc., who will continue with late stage clinical trials using these encapsulated cells in combination with low dose chemotherapy with the aim of improving the anti-tumor effects of the chemotherapy whilst reducing the efficacious dose so that side effects are largely avoided (https://pharmacyte.com/pharmacyte-discusses-phase-2b-clinical-trial-pancreatic-cancer/). The use of encapsulated cells as therapeutics stretch even beyond these uses – trials are commencing where encapsulated cells are used to produce cytokines to support an immune response/vaccination approach – in this case against tumors (Mach et al., 2016) but obviously such an approach could also be used for other types of vaccination including against viral, bacterial and fungal infections. Encapsulated cells have also been shown to provide a means to achieve steady state and continuous production of therapeutic antibodies, for example to neutralize virus infections or again to combat tumours. Encapsulated stem cells may improve on regenerative medicine by allowing paracrine factors to be released continuously into the body – after all, cells are behind all of the natural healing process that go on in our bodies. 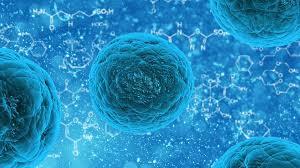 As has been previously pointed out, encapsulation of cells adds a level of safety to stem cell therapies since they are not able to freely wander around the body and cause potential harm if they end up in an undesirable location in the body. The cells are also protected from the body’s natural mechanisms of elimination (Gunzburg and Salmons, 2009). This kind of encapsulation approach can also be taken to physically target joints for repair or alleviation of wear and tear. In such a scenario the capsules physically fix the cells at the site of implantation near the targeted joint and allow paracrine factors from the encapsulated cells to diffuse locally out of the semi-porous capsules. Among others, cardiovascular disease and neurodegenerative diseases could also potentially be treated using implanted encapsulated cells. The next few years will be exciting as additional new encapsulated cell therapies (in particular allogeneic therapies) are developed and opportunities are explored. Moreover, the results of clinical trials, including late stage trials should become available, perhaps leading to eventual breakthrough therapies reaching the biotherapeutics market. Vegas, A.J., Veiseh, O., Gürtler, M., Millman, J.R. et al. (2016a) Long-term glycemic control using polymer-encapsulated human stem cell–derived beta cells in immune-competent mice. Nat Med. 22:306-11. Lim, F. and Sun, A.M. (1980) Microencapsulated islets as bioartificial endocrine pancreas. Science 210: 908–910. Vegas, A.J., Veiseh, O., Doloff, J.C., Ma, M., et al. (2016b) Combinatorial hydrogel library enables identification of materials that mitigate the foreign body response in primates. Nat Biotechnol. 34: 345-352. Salmons, B., Brandtner, E-M., Dangerfield, J.A. and Gunzburg, W.H. (2014) Encapsulation of insulin producing cells for diabetes treatment using alginate and cellulose sulphate as bioencapsulation polymers: current status. Diabetes Research and Treatment 1:1-7. Dangerfield, J.A., Salmons, B., Corteling, R., Abastado, J-P. et al. (2013) The diversity of cellulose sulphate encapsulation. In: Bioencapsulation of Living Cells for Diverse Medical Applications. Dangerfield J, Brandtner EM (eds). Bentham E-book. pp70-92. Read, T.A., Sorensen, D.R., Mahesparan, R. et al. (2001) Local endostatin treatment of gliomas administered by microencapsulated producer cells. Nat Biotechnol. 19:29‐34. Joki, T., Machluf, M., Atala, A. et al. (2001) Continuous release of endostatin from microencapsulated engineered cells for tumor therapy. Nat Biotechnol. 19:35‐39. Salmons, B., Hauser, O., Gunzburg, W.H. et al. (2007) GMP production of an encapsulated cell therapy product: issues and considerations. BioProcessing Journal 4:36‐43. Löhr, J.M., Haas, S.L., Kröger, J-C., Friess, H.M. et al. (2014) Encapsulated cells expressing a chemotherapeutic activating enzyme allows targeting of subtoxic chemotherapy and is safe and efficacious: data from two clinical trials in pancreatic cancer. Pharmaceutics 6:447-466. Michałowska, M., Wojciechowski, M., Winiarczyk, S., Adaszek, L. et al. (2014) Phase I/II clinical trial of encapsulated, cytochrome P450 expressing cells as local activators of cyclophosphamide for the treatment of spontaneous canine mammary tumours. PLOS ONE 9(7)e102061. Mach, M., Vernet, R., Belkouch, M-C., Luy, P. et al. (2016) MVX-ONCO-1 phase 1 final results of the first personalized cell-based immunotherapy using cell encapsulation technology. Ann Oncol. 27 (suppl 6):1058P. Gunzburg, W.H. and Salmons, B. (2009) Stem cell therapies: on track but suffer set back. Current Opinion in Molecular Therapeutics 11:360-363.